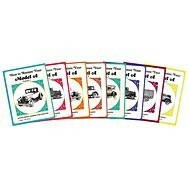 There are plenty of books available for the model A restorer, and we bought many. Most we did not need. The following are by far enough for our restoration project. 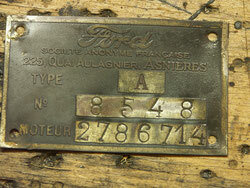 The restoration followed mainly the paths shown by Jim Schild and his excellent book "Restorer"s Model A Shop Manual". The book was first published in 1985 by Motorbooks International, an imprint of MBI Publishing Company. 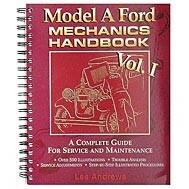 Also very helpul, especially because of the excellent exploded assembly drawings and the detailed explanations is Les Andrews book "
Model A Ford Mechanic's Handbook - Volume 1 - A Complete Guide For Service & Maintenance. 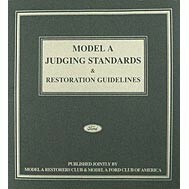 Published jointly by the MAFCA and MARC, this is a complete set of guidelines and standards for the authentic Model A restorer. 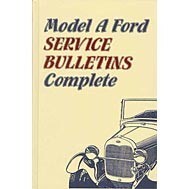 This is almost a complete collection of all Ford dealers' bulletins in book form. Billed as the encyclopedia of the Model A, this is an essential reference guide for anyone doing their own restoration. The book helped to find out or to proof certain assumptions of parts beeing 1929 or 1930. By Jim Schild, ISBN 0-7603-1252-4. 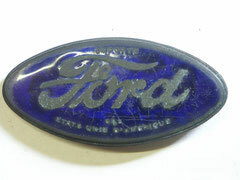 A comprehensive and detailed guide to the original factory specifications, equipment, colors and trim of the 1928-1931 Model A Ford. Some articles in the following series were useful, especially about the rear axle. But most subjects are covered clearer in the books of Schild or Andrews. Published by the MAFCA, this guide features excerpts from The Restorer.